In the last weekend of September, Disneyland Paris will be hosting the first RunDisney event. Runners who will complete any of the courses will receive a medal. Today, Disneyland Paris enveiled the medals which will be waiting at the finish line. Finishers of the Kid Race will receive a medal with Mickey on it and two not-so-hidden Mickey’s. 5K participants will, when they finish, receive a medal with Remy from Ratatouille on it. This is a nice touch as it is closely related to Paris. 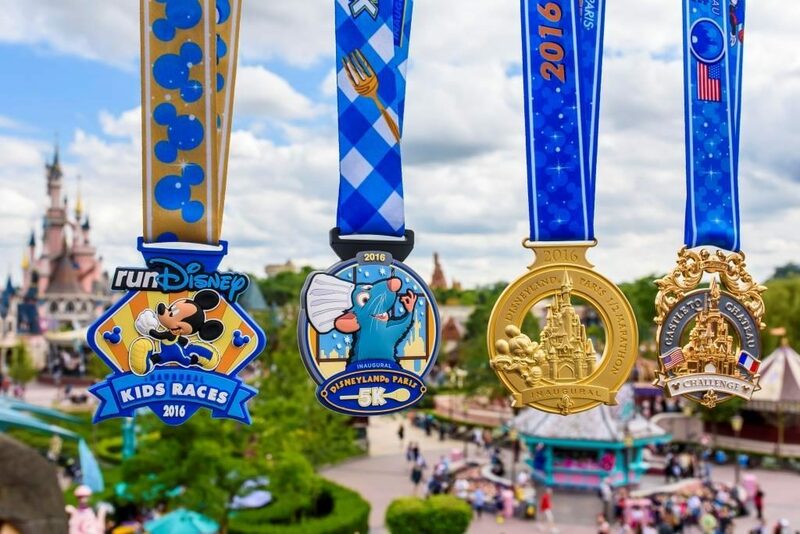 When you finish the half-marathon course, you will receive a medal with the castle of Disneyland Paris on it joined by a running Mickey. All three medals show inaugural on it, making it already a collectors item. Participants who are able to complete a runDisney half-marathon event in one of the US-parks and the runDisney half-marathon event in the same calendar year will receive an additional medal with the words “Castle to Chateau”. This medal also features an US and a French flag. PrevThe Twilight Zone Tower of Terror becomes Guardians of the Galaxy – Mission: BREAKOUT!